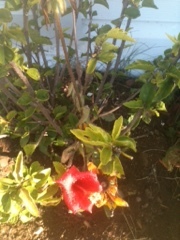 Still blooming...only one, but blooming!!!! 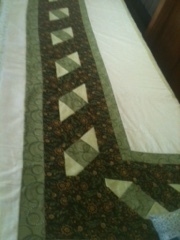 As for me...I am still keeping busy with quilts. Right now, I am hand quilting Marla's Giant Dahlia. I am going to show you a peek at the earlier stage of this...then Marla will show it finished. This is just as I put it in the frames....I am half way across the quilt now. It is a lovely quilt!! 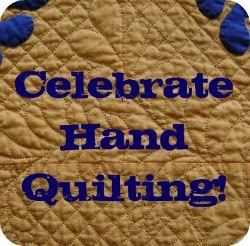 Besides this, I am machine quilting a few baby quilts...no pics, had a craft sale over the past weekend, which was fun. 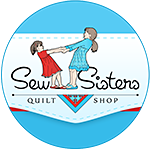 I have several quilts waiting to be hand quilted for customers, and will add borders to my Haley Rose quilt top...pics to follow later on. Keeping busy as usual. The house must smell heavenly.